A Thai street food-inspired restaurant is opening its second location in Wynwood next summer. 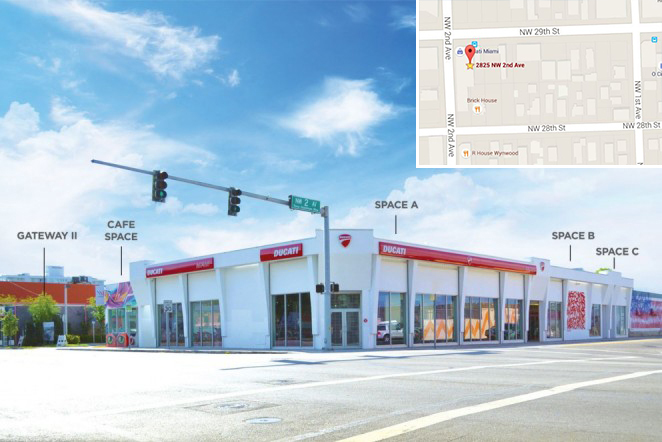 Cake Thai Kitchen, which is based in MiMo, will lease space at the Wynwood Gateway Complex, part of a project developed by Tony Cho, founder and CEO of Metro 1, according to a press release. The restaurant, at the intersection of Northwest Second Avenue and 29th Street, will include indoor and patio seating. Chef Phuket Thongsodchaveondee and his mother Nutthamon Mazza founded the Thai eatery and will partner with local restauranteurs Javier Ramirez and Leopoldo Monterrey, who founded Alter in Wynwood. Cake Thai Kitchen’s original location, at 7919 Biscayne Boulevard, features a traditional menu that ranges from crispy pork belly and red curry duck to spicy beef noodle soup and garlic prawns. “This is exactly the type of independent local brands Wynwood needs to preserve its character and flavor,” Cho said in the release. The restaurant will join other new eateries, such as Wynwood Diner; GK Bistronomie, a new chef-driven Peruvian seafood restaurant and Pisco bar; the Lunchbox; and Coyo. Wynwood’s neighborhood revitalization district went into effect last week, which includes a slate of changes to zoning and land use designations that allows for denser residential developments on roughly 205 acres. Other tenants at the Wynwood Gateway Complex include Ducati and Boxelder, bringing the complex to 90 percent leased. Boxelder is a bar and craft beer market, which opened in February.